FDA is ignoring Congress and attacking an affordable supplement to protect Big Pharma profits. As we reported earlier this year, the Farm Bill approved by Congress legalized hemp, which is a major step towards ensuring consumer access to affordable CBD oil supplements. Unfortunately, the FDA is still throwing up roadblocks because CBD is now also available as an FDA-approved drug. It is a perfect case study for why healthcare is so expensive in this country. 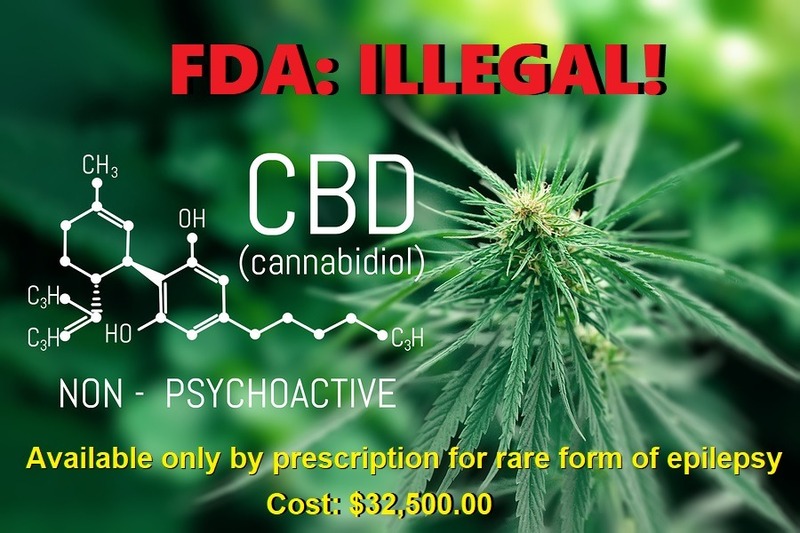 Shortly after the passage of the Farm Bill, FDA Commissioner Scott Gottlieb reiterated the FDA’s position that, regardless of hemp’s legalization, it is still illegal to sell CBD in supplements or food. This is because CBD is the active ingredient in a recently-approved drug for a rare form of epilepsy. The only legal source of CBD, then, is this drug, which costs $32,500 a year. An Evansville, Indiana couple has had the medical care of their toddler taken over by Riley Children's Hospital in Indianapolis, and Indiana Child Protective Services (CPS). 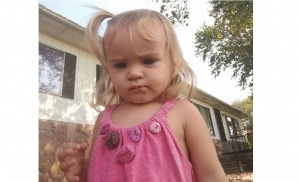 Jade and Lehla Jerger, parents of Jaelah Jerger, sought answers for more than 8 months for their daughter's "uncontrollable jerk of her body." When a neurologist at Riley Children's Hospital diagnosed her with epilepsy, they began to research the best treatments for their daughter. A Chiropractic Neurologist began treating Jaelah with CBD oil (also known as "Charlotte's Web Hemp Oil"), and reportedly at the lowest dosage they saw a reduction in seizures from 50+ a day to 2-4 a day. CBD oil is derived from industrial hemp, and is not psycho-active due to almost no THC (the chemical that makes one "high"). It was made famous through national TV exposure from Dr. Gupta Sanjay’s CNN documentary “Weed,” featuring a young girl’s struggle with a life threatening type of chronic epilepsy called Dravet’s syndrome. However, doctors at Riley Children's Hospital disagreed with the treatment of CBD oil, allegedly telling the parents they were "killing" their daughter by not giving her the pharmaceutical drug Keppra. The parents sought a second opinion from another pediatric neurologist who told them to continue with the CBD oil, but doctors from Riley allegedly reported the parents to CPS, and now the parents are being forced to give their daughter a drug that gives her serious side effects, or have their daughter taken away from them. The VAXXED team recently interviewed a mother from New Jersey, now living in Florida, about her vaccine-damaged son. Her son has brain injuries, and initially she was accused of Shaken Baby Syndrome (SBS). They removed her other child from her home, and tried to get her to confess to a crime she never committed. Her son almost died, and at one point they encouraged her and her husband to just donate his organs. But he pulled through, and with the use of alternative therapies such as hyperbaric oxygen therapy and medical cannabis (CBD oil), he has seen significant improvement. 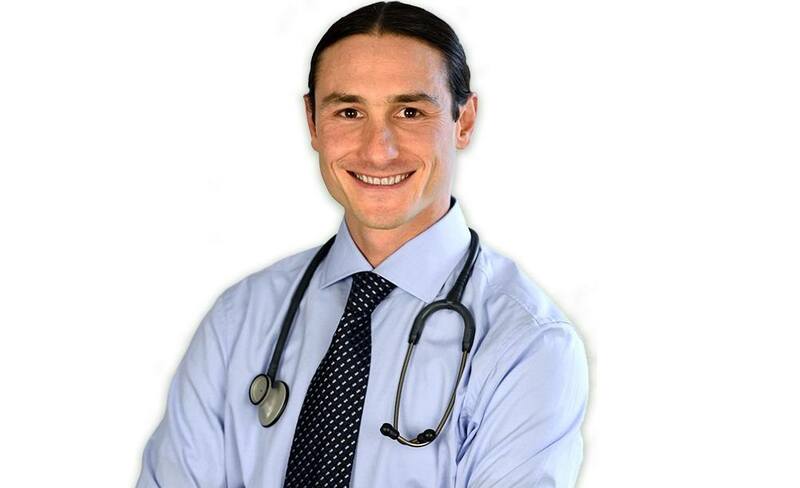 Dr. Dustin Sulak, DO, is considered an international expert in clinical medical cannabis. Dr. Sulak heads his own Integr8 Health Clinics in Maine and a satellite clinic in Massachusetts where not only does he practice medical applications of cannabis, his clinic analyzes different cannabis strains and researches their specific applications. He also provides a free online educational service for health practitioners and patients that provides the latest data and advice for using cannabis medically. Dr. Sulak delivered a two hour presentation in Portland, Maine to a live audience that was carried simultaneously online. His lecture focused on how he uses cannabis to replace prescribed narcotic opioid pain killers, such as Oxycontin and morphine, to avoid or cure opioid addictions.